Love Those Leaves makes a great autumn runner in fall colours, or a wonderful winter runner in red, black and white. You can even make hearts by leaving out the appliquéd stems. 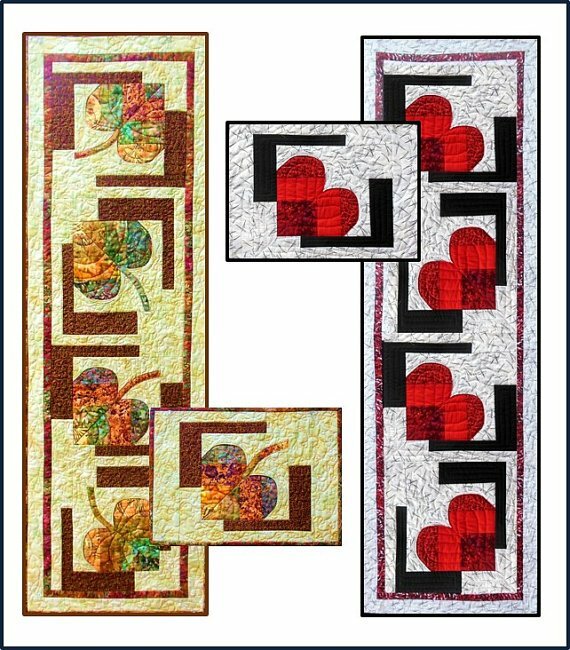 This is an original quilt pattern for a table runner measuring 17” x 53” and four placemats measuring 12" x 17". Rolled-back folded bias edges give these strip-pieced leaves curves and apparent movement as they float within the partial frames, but there is no curved piecing. This is sometimes called Cathedral Window curves and 3D flying geese.